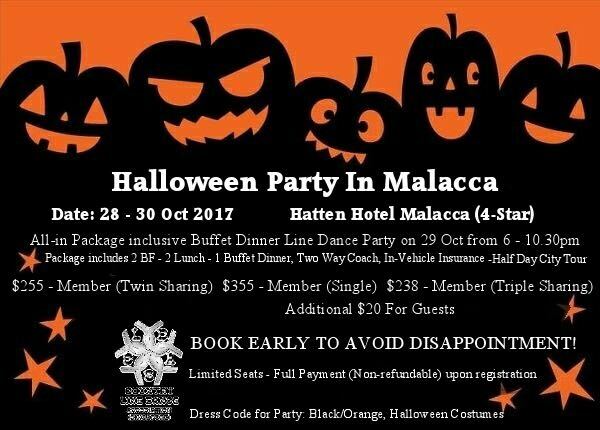 We have arranged a short 3 days 2 nights trip to Malacca from Saturday – Monday on 28-30 Oct 2017 with a Halloween Party thrown in. 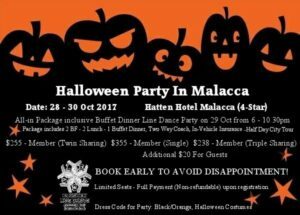 Please note: Non-refundable full payment upon registration. Download the trip itinerary here if you wish to find out more details before booking. Hurry though. Seats are limited. You may end up on the waiting list if you take too long to make up your mind.